(approximately $1,200) because we have to rent PSLH from the campus, pay for a parking lot attendant, signage, etc. 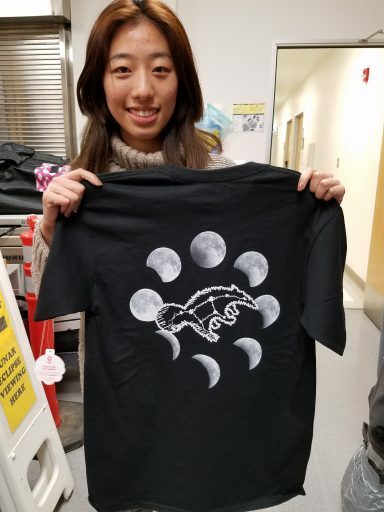 One of our Astronomy Club members designed a lunar eclipse T-shirt to help raise funds to cover the cost, and members of the Astronomy Club staffed a snack booth to raise money for the club. 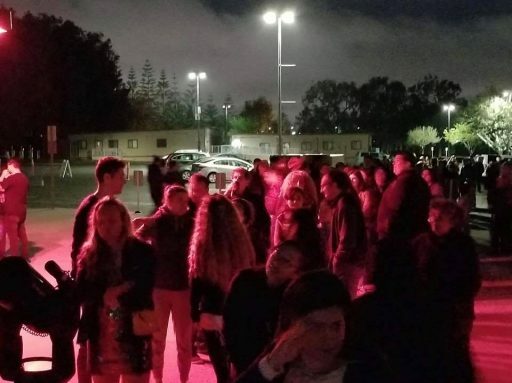 The event was such a huge success we were able to raise slightly more than the cost of the event, and thus we plan to hold more events like this in the future. Anyone interested in donating to help make this happen can contact Professor Smecker-Hane (tsmecker@uci.edu) or make an on-line donation at give.uci.edu designating Physical Sciences and UCI Observatory. 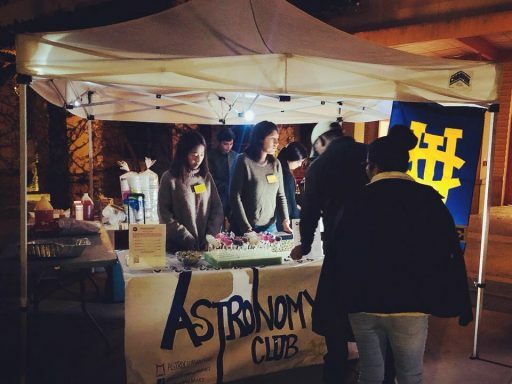 Huge thanks go out to astronomy graduate students and undergraduate Astronomy Club members, who ran the telescopes and booths, and to graduate student Manuel Paul for training them to setup and run the telescopes. We have some T-shirts leftover, so if any alumni or friends of the department want to get one for themselves and contribute to helping fund future events simply email Professor Smecker-Hane. We’ll mail one to you for a donation of $30. 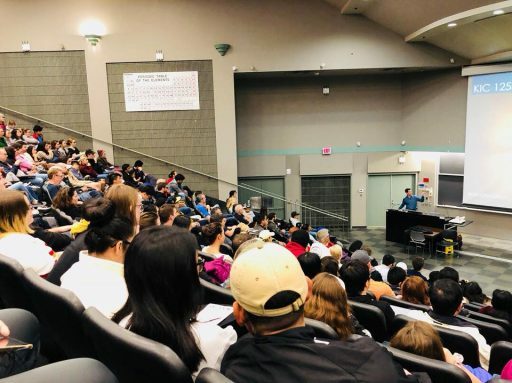 This post is a guest post written by Physics and Astronomy professor Tammy Smecker-Hane.